There are hundreds of Poles and Polish Americans who have shaped Erie County, New York, and the nation as a whole. But one son of Poland would build an engineering miracle that would influence the region and connect two great nations together. Polish Canadian, Casimir Gzowski and his International Railway Bridge would defy Mother Nature and expand the rail industry in Western New York. 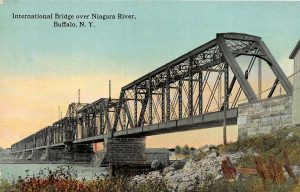 The idea of in international bridge that would connect Western New York and Southern Ontario was born in the 1850s. After some legislative maneuvering, the state of New York and the province reached an agreement for a bridge over the Upper Niagara River. There were just two hurdles that needed to be overcome, the first was how to pay for it and the second was how to build it. The funds would be raised over time with a long delay coming from the reconstruction after the American Civil War. For the engineering they would need someone who could figure out how to build in 45 feet of water with 12 mile-an-hour currents and winter ice flows that would rip asunder anything put in their path. Casimir Stanislaus Gzowski was born March 5, 1813, in St. Petersburg, Russia to Count Stanislaus Gzowski a member of the Russian National Guard. The Gzowskis were an influential Polish family that were ennobled in the sixteenth century. Educated at the Military Engineering School, Casimir received a commission in the Imperial Russian Engineers after graduation. Casimir’s military know-how made him a valuable asset to the Poles during the November Uprising (1830-31). Following the one-year conflict, Gzowski was imprisoned before being exiled to America. In the New World Casimir would learn English, teach, marry, study law, and in 1841 move to Canada to work on expanding the Welland Canal. 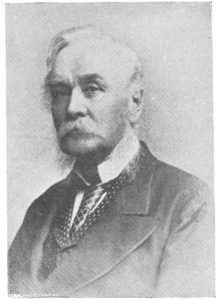 He worked as a civic engineer until 1852 when he joined with Alexander Tilloch Galt, Luther Hamilton Holton, and David Lewis Macpherson to start their own firm. It was with this group that Gzowski would receive the commission to build the International Railway Bridge with construction beginning in May of 1870. The International Railway Bridge consists of two bridges with Unity Island acting as a connector. For the 1,968 feet from Canada to the island, Gzowski called for nine spans ranging from 240 feet to 160 feet with two drawbridges near the island. To hold up the bridge, eight piers were built into the bedrock after nine feet of gravel were removed. To prevent ice damage and build-up, each pier was angled to a point. Connecting Unity Island to Black Rock, Casimir built a 517-foot, steam-powered double drawbridge. The project had a total cost of $1.5 million with no fatalities. In the first week of November 1873 the bridge formally opened. A special train with members of the New York Central Railroad, the Grand Trunk Railroad, and the engineers including Gzowski crossed from Canada, looped around Buffalo picking up passengers, then made its way back to Fort Erie. After the bridge, Casimir Gzowski would go on to form the Canadian Society of Civil Engineers, be appointed as the Acting Lieutenant Governor of Ontario, and knighted by Queen Victoria. Gzowski died on November 18, 1897. As of 2015, his bridge sees around 15 trains a day cross over it. Adam, G. Mercer. Toronto, Old and New: A Memorial Volume, Historical, Descriptive and Pictorial, Designed to Mark the Hundredth Anniversary of the Passing of the Constitutional Act of 1791, Which Set Apart the Province of Upper Canada and Gave Birth to York (now Toronto) with Some Sketches of the Men Who Have Made or Are Making the Provincial Capital. Toronto: Mail Print., 1891. Print. "International Bridge - Formal Opening." Buffalo Courier [Buffalo, NY] 3 Nov. 1873: n. pag. Print. Minutes of Proceedings of the Institution of Civil Engineers. London: Institution of Civil Engineers, 1837. Print. "The International Bridge." Buffalo Courier [Buffalo, NY] 11 Oct. 1873: n. pag. Print. "The International Bridge." The New York Times [New York, NY] 18 Aug. 1873: n. pag. Print. "The International Bridge: Its History..." Buffalo Courier [Buffalo, NY] 3 Nov. 1873: n. pag. Print. 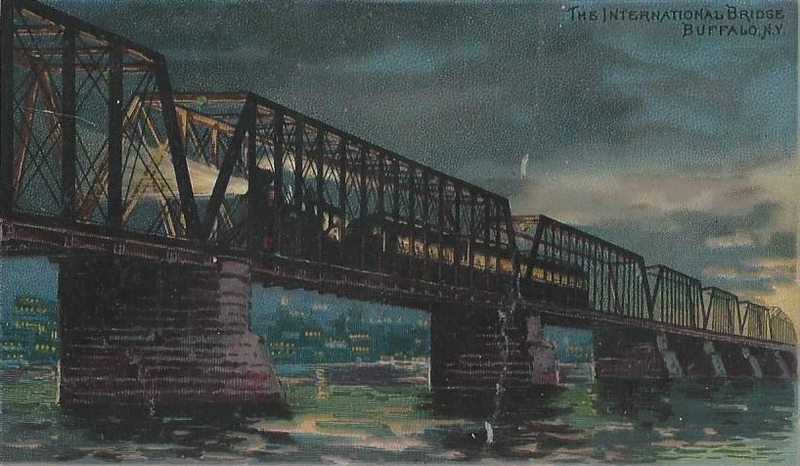 "The International Railway Bridge." Bridges Over Niagara Falls. Niagara Falls Thunder Alley, n.d. Web. 03 Feb. 2016.